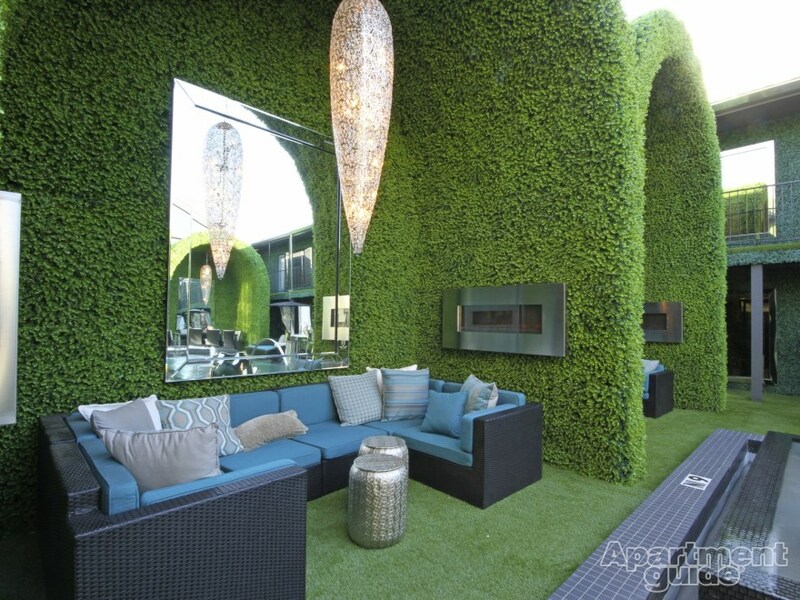 this courtyard has beauty and sophistication that will remain the same year round. Designing glass towers to add the front of the building took an otherwise dull and over long facade to a fabulous high end look. Shades of turquoise and taupe create the perfect pallet. 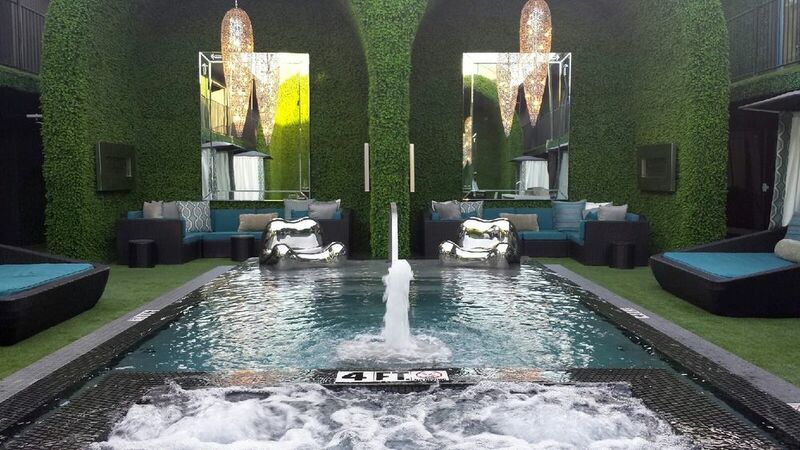 Redesigning the swimming pool and adding 20 foot tall cabanas flanking the both ends of the pool make a huge impact. 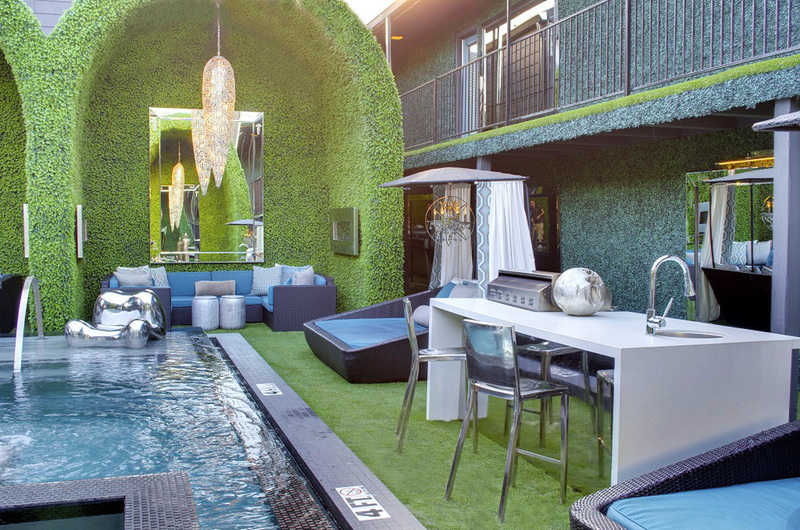 This courtyard was designed totally for socializing and comfort.